It's pretty impressive to see a loved one live to see his or her 100th birthday, and it's certainly deserving of a very special celebration. 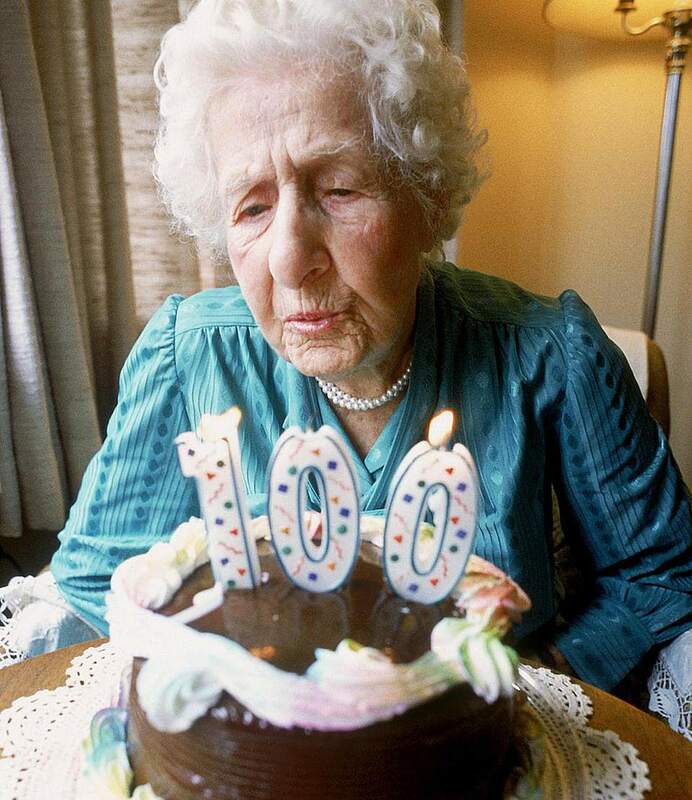 The number of people reaching their 100th birthday has been climbing, but it is still rare to reach the century mark—only about 1 in 4500 people in the U.S. are centenarians. Your centenarian has already surpassed and celebrated major milestones including the 80th and 90th birthday. But each new decade brings changes that can be incorporated into the party. Here are the best ideas for activities you can plan to emphasize the magnitude of this milestone event. Play music and sing songs from the guest of honor's favorite decade or genre of music. Music has an amazing way of delighting even those who have memory challenges. Locate any recordings of the guest of honor singing or playing an instrument to play. Be sure to record the guest of honor singing as this can become a treasured memory for the family. Display photos of the guest of honor from the youngest days up until today. You could create a slideshow of these photos that plays throughout the party. Frame photos and use them as table centerpieces and hang them around the room. Assemble posters of photos from each decade of the person's life and put them up around the room on easels. Create a handout for all guests that lists all the important events, milestones, and accomplishments of this person's life. Include photos on the front and back of this brochure. Locate older photo albums and scrapbooks that the guest of honor has and include them in the celebration. If these have not been transferred to digital format, do so to preserve them. When you invite guests, ask them to bring a written memory of this person so you can put together a scrapbook of memories at a later date. You can send them a template to use, either digitally or on paper as is appropriate for each person. If time allows, read aloud some of the memories during the party. Invite guests who can't attend to take a video of themselves sharing good wishes and a favorite memory of the centenarian. Put the videos together into a presentation to play at the party as well as for the guest of honor to enjoy later. Video guests during the party and ask them to share their favorite memory of the centenarian. Present the video in a format the centenarian will be able to view as a gift at the end of the party. As video formats change, check to see what older videos the guest of honor has and transfer them to the latest format they can use. For example, they may have old videotapes, audiotapes, CDs and DVDs. You can find a local video company that can assist in this. Put together collections of 100 items to visually demonstrate the magnitude of that number. It could be a centerpiece with 100 flowers, a basket filled with 100 favorite cookies or candies, or a bouquet of 100 balloons. Or ask everyone to bring enough of a useful item to create 100 altogether. These might be pennies from the year of birth, buttons, packs of sugar, skeins of yarn, nails, pads of paper, etc. Serve a large platter of fruit or vegetables. In the center of the platter create the number 100 out of one of the ingredients. Research facts about the year the guest of honor was born. Put together a short and fun presentation about what was happening that year. You can further make some notes about each decade and see if it elicits some memories from the guest of honor that you can record and save. After a century, your loved one may now have three, four, or even five generations of offspring. A family tree with a photo of each person can show this dramatically. You can write to the White House and they will send the guest of honor a signed letter from the President wishing them a happy birthday. Your local television and radio stations may also honor centenarians on their birthday. Find out which shows do so and ensure your loved one is congratulated.